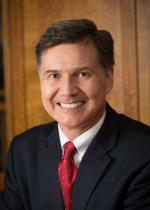 Daniel C. Esty is the Hillhouse Professor of Environmental Law and Policy. As a professor at Yale since 1994, he holds faculty appointments in both Yale’s Environment and Law Schools and directs the Yale Center for Environmental Law and Policy and serves on the Board of the Center for Business & Environment at Yale, which he founded in 2006. From 2011 to early 2014, Professor Esty served as head (Commissioner) of the Connecticut Department of Energy and Environmental Protection. In this role, he worked to create a model 21st Century regulatory agency that used a “LEAN” process to re-design all of its permitting programs for greater speed, efficiency, customer orientation, and compliance focus resulting in transformed outcomes. Likewise, he designed an innovative energy strategy for the state designed to fulfill Governor Dan Malloy’s commitment to cheaper, cleaner, and more reliable energy – including a shift away from subsidies toward a finance focus using creative policy tools (reverse auctions, power purchase agreements, a first-in-the-nation Green Bank, and a statewide Property Assessed Clean Energy program). Professor Esty is the author or editor of ten books and numerous articles on sustainability and environmental issues and the relationships between environmental protection and corporate strategy, competitiveness, trade, globalization, metrics, governance, and development. His prizewinning book (with Andrew Winston), Green to Gold: How Smart Companies Use Environmental Strategy to Innovate, Create Value, and Build Competitive Advantage, argues that pollution control and natural resource management have become critical elements of marketplace success and explains how leading-edge companies have folded environmental thinking into their core business strategies. His most recent book (with P.J. Simmons), The Green to Gold Business Playbook: How to Implement Sustainability Practices for Bottom-Line Results in Every Business Function offers practical advice on how to execute a sustainability strategy across a wide range of businesses and activities. His current research focuses on rethinking environmental policy for the 21st Century and developing metrics for gauging environmental and sustainability performance at the global, national, city, and corporate scales. Professor Esty is also Chairman of the Esty Group and has advised companies of all sizes and in a wide range of industries on corporate environmental or sustainability strategy including Ikea, Coca-Cola, Unilever, Alcoa, Hanes, Hannaford, Boeing, and IBM. Prior to taking up his position at Yale, Professor Esty was a Senior Fellow at the Peterson Institute for International Economics (1993-94), served in a variety of senior positions in the US Environmental Protection Agency (1989-93), and practiced law in Washington, DC (1986-89). He has an AB from Harvard College, an MA from Balliol College at Oxford University where he was a Rhodes Scholar, and a JD from Yale Law School.